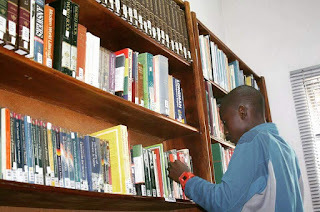 The Zaccheus Onumba Dibiaezue Memorial Libraries (ZODML) is probably the best private library in Nigeria that is open to public use. This Learning Centre provides services that are diverse as much as they are critical to the advancement of knowledge. Here, we give you 12 things you should know about this library. Read them and tell a friend. 1. 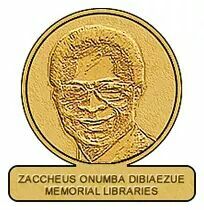 Zaccheus Onumba Dibiaezue Memorial Libraries (ZODML) is a non-profit organisation based in Lagos, Nigeria. 2. 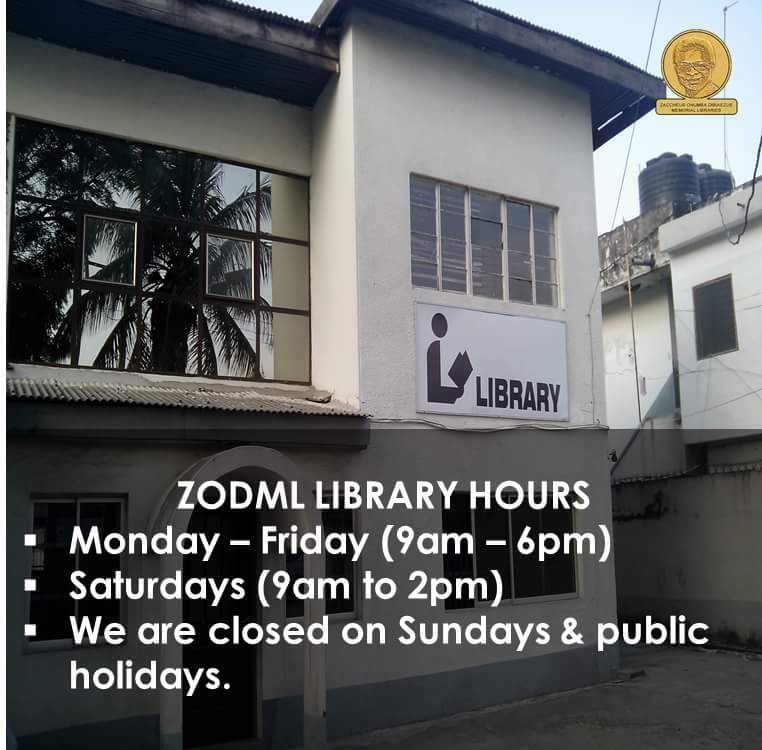 ZODML was founded in 1999 with grants and gifts from the widow and daughters of the late Zaccheus Onumba Dibiaezue who was able to rise from a farming background to become the first company secretary and legal adviser to a Bank through self-learning and access to libraries. 3. ZODML’ mission is to provide free channels through which Nigerians can access information and learning tools to acquire knowledge. 4. ZODML’ vision is to see a Nigeria in which everyone has the ability to educate themselves. 5. 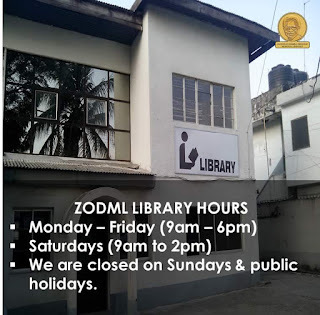 ZODML’ Community Library is located at 196, Awolowo Road, Ikoyi – Lagos. 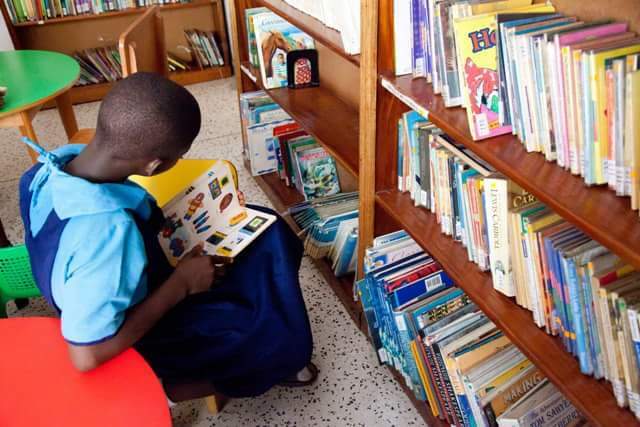 It has more than 22,000 books and audiovisual materials available to over 6,000 patrons (including students from government schools) to browse through and borrow. 6. All of ZODML' services are provided free of charge. 7. 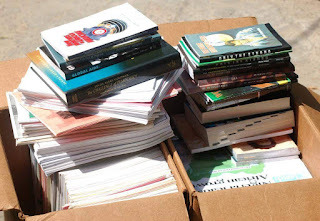 ZODML establishes libraries in prisons. 8. ZODML establishes community and school libraries and internet learning centres in public schools in Nigeria. 9. ZODML has an online library, zodml.org, to broaden the reach of its services and resources beyond its physical locations. Diverse educational materials are available, accessible and downloadable on this online information resources platform. 10. ZODML has a “Discover Nigeria” section which highlights the best of Nigeria's history and culture, supports self-learning and introduce visitors from around the world to Nigeria's potentialities. 11. ZODML organizes book readings for authors.